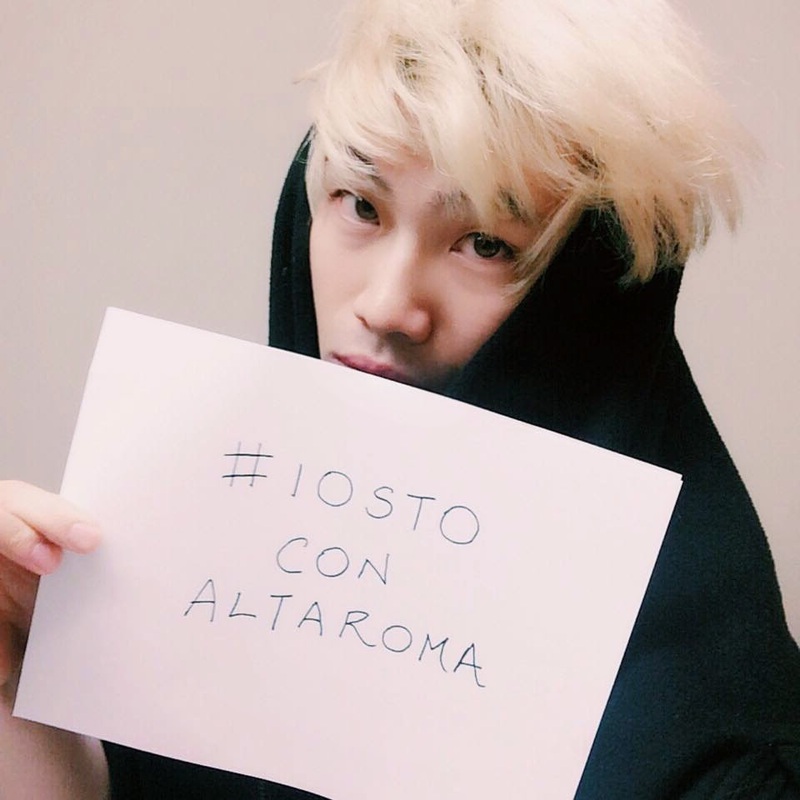 Binzento Vincente: #IOSTOCONALTAROMA - The Movement That Says: "I am with Altaroma"
#IOSTOCONALTAROMA - The Movement That Says: "I am with Altaroma"
Having been a part of the fashion circle in Italy is a great honor, and what an amazing way to end the year when being asked to be a part of the #IostoconAltaroma ("I am with Altaroma") campaign. This hashtag digital campaign gathers professionals, institutions and friends of the Italian fashion community to be a part of a neo movement supporting all fashion “Made In Italy” – honoring the profound history of Italian fashion and believing in the vibrant energy and innovative ideas of young talents as the source for thriving the future of Italian fashion culture and productivity. Rome is an amazing city of Italy that connects contemporary fashion, art and craftsmanship. It’s the house where talents are discovered, and eventually succeed their dreams of becoming the icon of fashion. The development of Altaroma is the driving force behind Italian haute couture and a new platform for emerging designers. It showcases and support the works of art that are made in Italy. The work of Altaroma holds dearly to my heart as I was given the opportunity to understand Italian young fashion talents’ ideas, listen to their stories and experience their work. The #IostoconAltaroma campaign has united many outlets related to Italian fashion: Vanity Fair Italy, huffingtonpost.it, and elle.it to name a few that have answered their call. And as per calling from Rome – Binzento also supports Altaroma - #IostoconAltaroma! Read about #IostoconAltaroma campaign on Fashion Beyond Fashion HERE.